There's just so much going on in Buffalo. Here are the talks, seminars, and workshops happening this summer (that I know about). Thursday, May 08, 2014, 6:30 p.m. - 8:00 p.m. Learn about plants that pamper and get a mini-tour of the Botanical Gardens follows the presentation which includes light refreshments, beer and wine. Cost for Botanical Gardens members is $22 non-members is $25. Pre-registration is required. Visit buffalogardens.com, or call 716.827.1584 ext. 291. 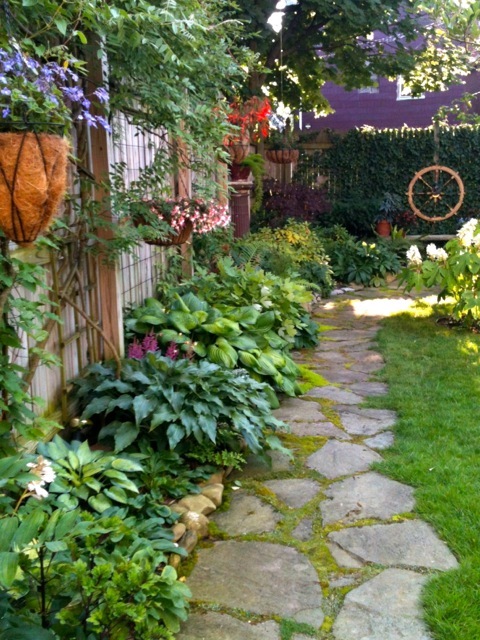 Thursday, May 8, 6:30-7:30 p.m.
It’s finally spring and time to get back into your garden. Join us for a lecture and sharpening demonstration to gain a comprehensive understanding of the “tools of the trade. Learn how modern technology has changed gardening since the turn of the last century, and get tips to strengthen your gardening skills. Price: $20 per person/$15 member. Visit darwinmartinhouse.org. Saturday, May 17, 10:00 a.m. - 5:00 p.m.
Bonsai masters and novices display their prized trees at their peak, do not miss this once a year opportunity to see these meticulously manicured trees all in one place. The event is free for Botanical Gardens members and children under 3, and the cost for non-members is $9 for adults, $8 for seniors (55+) & students (13+ with ID), and $5 for kids 3-12. Visit buffalogardens.com., or call 716.827.1584 ext. 291. Plant a 21” flower pouch and as flowers or herbs fill in, watch as they bring garden beauty to your fence, your gate or wherever you choose. These hanging pouches rest flat against the surface from which they hang and require less watering than traditional hanging baskets. The cost is $18 per bag for Botanical Gardens members and $22 per bag for non-members. Pre-registration is required, Visit buffalogardens.comn, or call 716.827.1584 ext. 291. Saturday, June 7, 9:15 a.m.-2:30 p.m. Whole program with luncheon $38; Individual classes $10 each. Sunday, June 8 1:30 p.m.
Space limited; $30. Visit weknowplants.com. Welcome our monarch butterflies to their new exhibit at the Gardens! Fun butterfly and pollinator activities will be taking place. Make friends with a butterfly and walk through an enclosure set up inside the Gardens with the folks from the Eastern Monarch Butterfly Farm in Clarence, NY. The Monarchs will be on display at the Gardens for several weeks this summer. 10am-5pm - $9 Adults, $8 Seniors (55+) & Students (13+ with ID), $5 Kids 3-12, Members and kids 2 and under are free! Visit buffalogardens.com or call 716.827.1584 ext. 291. Saturday, June 14 10:30 a.m.
Sunday, June 22 10:00 a.m.-4:00 p.m.
A very unique show! Hundreds of single hosta leaves (not the flowers) will be displayed in vases and grouped by size and color and judges will analyze each leaf for awards. There will also be potted hostas on display and with so many different varieties and cultivars, visitors will be amazed by the diversity. Throughout the show experts and enthusiasts will be available to answer questions and offer advice on growing these beautiful plants. $9 Adults, $8 Seniors (55+) & Students (13+ with ID), $5 Kids 3-12, Members and kids 2 and under are free! Visit buffalogardens.com. Wednesday, June 25, 6:00 p.m. This first program will cover the importance of bees in our gardens, city, country and world. It will be presented by Wayne Robins of Nature Ed-Ventures. David Clarke will also be there to answer questions about other Beneficial Insects. Our goal is to enlighten the gardening community that not all bugs are bad, in fact we need bugs desperately to hold our ecology in balance. Free, call for reservations 716-362-8982. For more information, visit urbanroots.org. Sunday, June 29, 8:30 a.m. In the spirit of the Parkside Garden Walk, the Martin House Complex will offer a program tostart your day right! Stop in and enjoy coffee, juice and bagels while you listen to Martin House Horticulturalist Nellie Gardener explore the history of the tussie mussie and the meaning of different plants and herbs. You can choose to make and take your own bouquet with you! Price: $15 per person/$10 member. Visit darwinmartinhouse.org. Presented by David Clarke on the importance of beneficial insects and their place in the garden. Wayne Robins will also be there to explain beekeeping. Our goal is to enlighten the gardening community that not all bugs are bad, in fact we need bugs desperately to hold our ecology in balance. 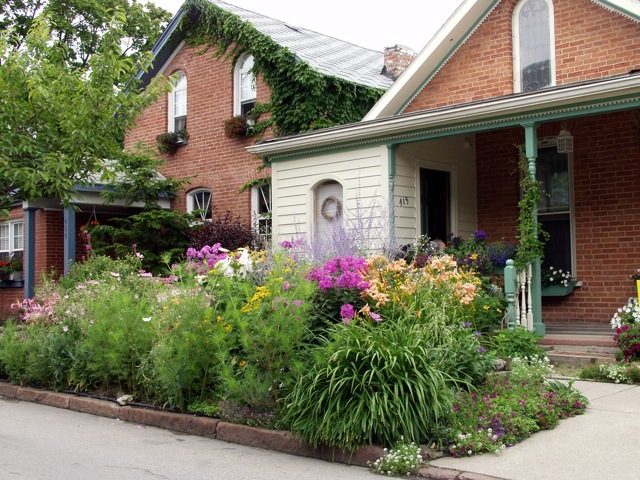 The Martin House Complex had an extensive landscape and Mrs. Martin was an expert flower arranger. Explore the gardens and learn what cut flowers may have been used in bouquets. Get design tips from Martin House Horticulturalist and arrange your own arrangement of flowers to take with you! Space is limited. Price: $40 per person / $35 member Visit darwinmartinhouse.org. Saturday, August 23, 9:00 a.m.-3:00 p.m.
Perennial gardeners will be amazed at the huge variety of hostas, daylilies and irises offered for sale by local specialist plant societies. Hundreds of plants will be offered, many new and exciting varieties and cultivars as well as popular garden favorites, at very competitive prices. Throughout the day experts and enthusiasts will be available to answer questions and offer advice about selecting and growing these choice garden plants. Free admission to the sale in the Administration Building. Visit buffalogardens.com. Wednesday, June 18, 6:00-9:00 p.m.
Join Star 102.5 and the Gardens to celebrate the beautiful Botanical Gardens. Popular musical groups, local restaurants, wineries and breweries come together to party into the night to benefit the Gardens. Tickets - $45, VIP Tickets - $100. Visit www.mystar1025.com for more information and go to www.tickets.com to purchase tickets. 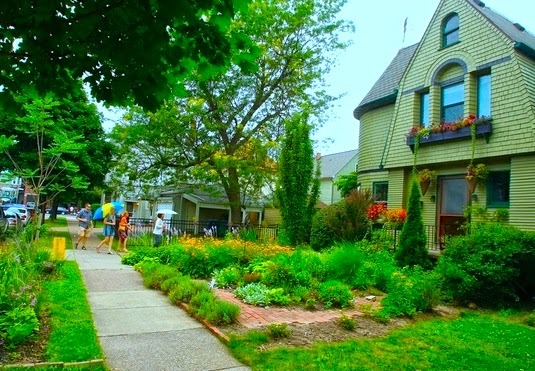 Saturday, June 28, 12:00 - 3:00 p.m.
Join the Garden Walk Buffalo gardeners and organizers in this celebration of the Walk's 20th year. Families of all ages are welcome! Entertainment will include: the band EMPIRE STATE, Hula Hooping with Melissa Campbell, games of Can-Jam, Frisbee, Blongo Ball. Also, for the first time, we will be having docent/volunteer led tours of the Towers Building for a nominal fee of $10. What a great opportunity! Food will also be served for a price of $1 that will include hotdogs, pop/water, and chips. To keep the excitement going all afternoon, we will have a raffle drawing every half an hour with donations provided by our sponsors. Free. No tickets or reservations required. 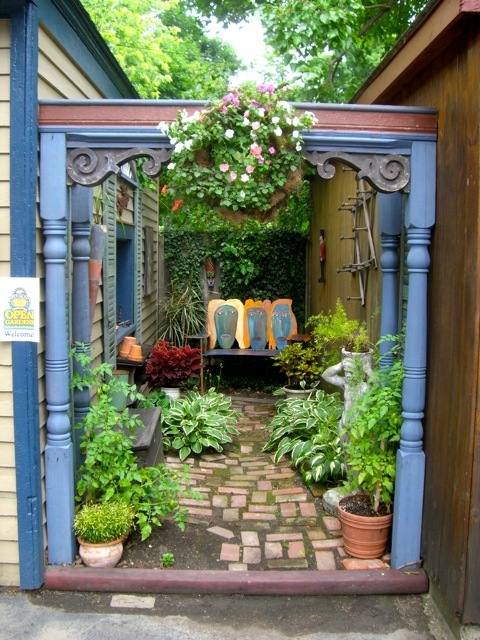 Visit GardenWalkBuffalo.com. Saturday, July 19, 11:00 a.m.-3:00 p.m. Opening celebration of the new RiverRock Garden in Riverside Park. Pack a picnic and come out to Riverside and enjoy a day with your family and the WNY community by the newest water feature in Riverside Park. Free for all ages. Visit bfloparks.org. Kids ages 5-12. Join us for artistic fun! Pre-registration is required and camp forms are due the Wednesday before each camp week. 9am-12pm, Garden Members $95 or $19 per day, Non-Members $105 or $21 per day. Visit buffalogardens.com. or call 716.827.1584 ext. 291. Kids ages 5-12 will become Junior Botanists for the week; exploring the Gardens, learning about plants, playing games, making a plant to take home and other fun activities. Pre-registration is required and camp forms are due the Wednesday before each camp week. 12:30pm-4pm, Garden Members $95 or $19 per day, Non-Members $105 or $21 per day. Visit buffalogardens.com. or call 716.827.1584 ext. 291. ABC 4 - July 28-Aug 1 - Basic gardening and plant fun! ABC 2 - August 18-22 - Basic gardening and plant fun! Full Day Art & Botany Camp - Join both camps and save! Pre-registration is required. Campers staying for both camps will need to bring a bagged lunch. 9am-4pm, Garden Members $150 per week or $30 per day, Non-Members $160 per week or $32 per day. Visit buffalogardens.com. or call 716.827.1584 ext. 291.